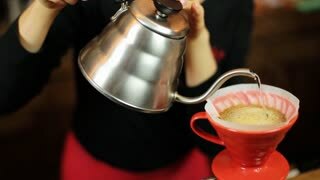 Pour over coffee brewing method whole process by barista girl. 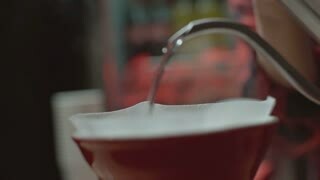 Barista girl pours water into the filter. 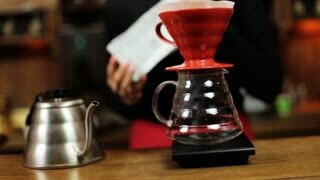 Pour over coffee brewing method whole process by barista girl. 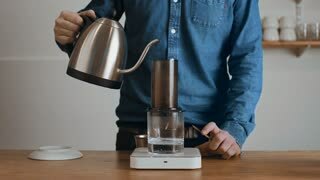 Barista girlpours coffee into the filter.